( 9 ) patented product , patent No. ZL 033580537. 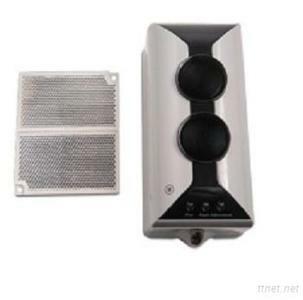 The structure and shape of the detector and reflector installation option to install and JTY-HM-GST102 type beam smoke detector fire the same . On-site installation , you need to 24V DC power cord ( non-polar ) , connected to the detector terminals D1, D2; terminals K21, K22 fault passive output normally open contacts , terminals K11, K12 was no fire source output normally open contact ; reflector without wiring. Terminals shown in Figure 1 - 31. Wiring requirements : Connecting K11, K12, K21, K22 twisted pair signal lines using fire-retardant , cross-sectional area ≥ 1.0mm2; power lines D1, D2 BV flame retardant cable, cross-sectional area ≥ 1.5mm2.